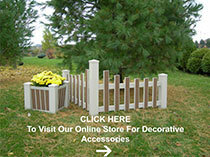 Homeland decorative columns are made from the highest quality material. Each one is marked by our unique attention to detail, so you can enjoy lasting benefits. So, whether you’re looking for a decorative element for a captivating front entrance…a finishing touch for your backyard deck…Homeland has something for you.